Russian Hunting Magazine – November 2015. 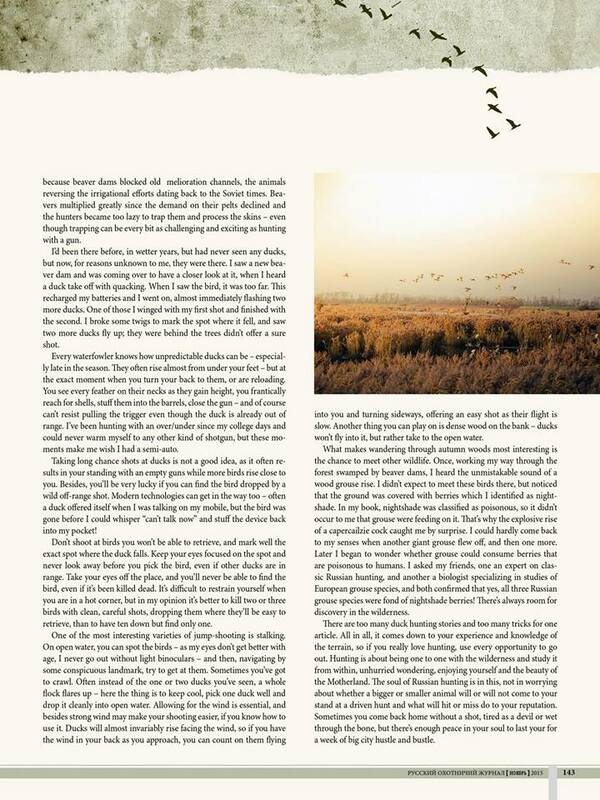 The November 2015 issue of Russian Hunting Magazine is dedicated to the most popular game bird and most common ‘first bird’ – the duck. 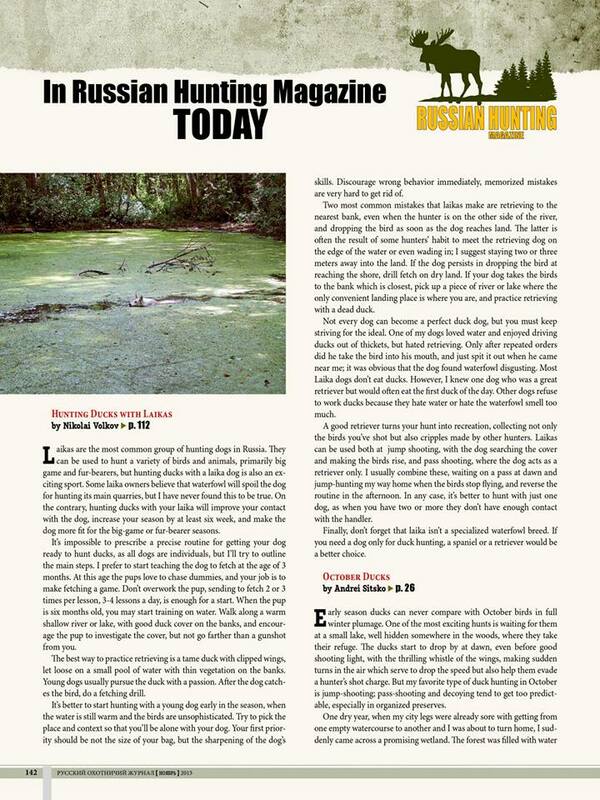 The condensed translations for this month include Mikhail Volkov’s advice on how to hunt ducks with the most Russian of hunting dogs, the Laika, and Andrei Sitsko telling, very poetically, why he loves jump-shooting ducks late in the season.